Boots are one of those wardrobe essentials that seem like they are universally flattering—that no matter your height, weight, shape, or frame, you can wear any style and look good. This is almost true, but not quite; as it turns out, there are actually certain boot styles that flatter certain body types better than others. This might seem daunting, because it might make you think you shouldn’t wear certain boots if you’re petite, tall, slender, and so on. But it just means there are options out there that’ll make you look better than ever. Curious to find out more? Refer to our handy-dandy guide for a major look upgrade based solely on your shoes. Keep scrolling to find out which boot style looks best for your body type! No surprise here: If you’re a petite gal, we recommend reaching for a pair of boots with either a slight or major height boost via a heel. Depending on the length of your legs, you might want to reach for a boot that hits you at a different point on your legs. For longer legs, over-the-knee boots can be nice, whereas if your legs are shorter, ankle boots can give the illusion that they’re longer. If you have more athletic, muscular legs, we’d be willing to bet that you want to show off the gams you’ve worked so hard to sculpt. 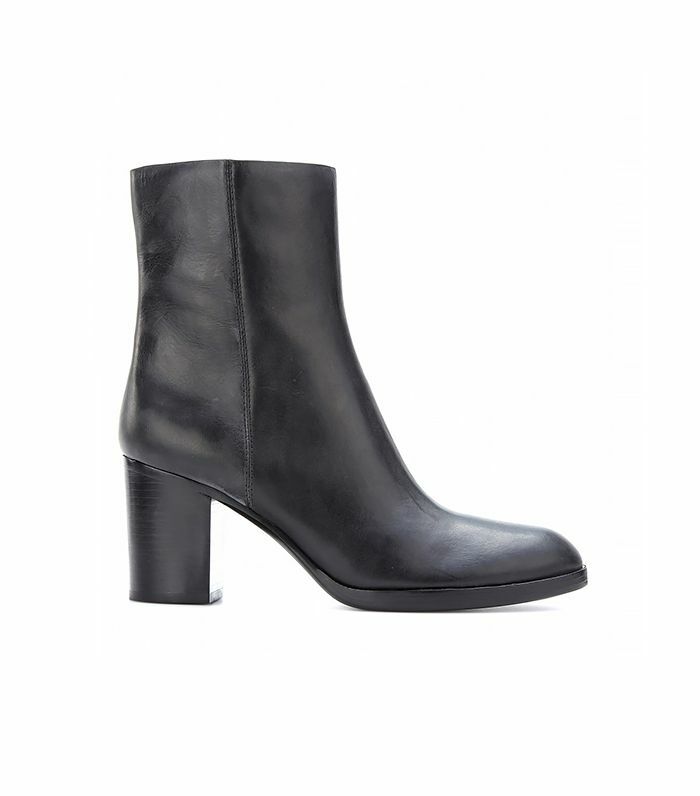 The best way to do that is an ankle boot with a heel. The heel obviously helps contract those calf muscles you want to show off, while the low cut at the top will best display your bare legs. If you are a part of the minority of women blessed with naturally (or not naturally) more slender legs, then you are in luck in the boots department. There really aren’t any boots that are going to look bad on you, but the over-the-knee thigh-high is the jewel in your sartorial crown. They give your thighs the illusion of a little bit more curve, while still making it clear that you have some seriously envy-inducing legs. If your legs are more on the short and stout end of the spectrum, then you’ll want to do two things: Add height with a heeled boot, and add length to your gams by sticking to nothing much taller than ankle-cut boots. A moderately high heel will also serve to add some muscle definition, helping your legs look a little less stout. If you’re a taller lady, you’re in luck. You can add even more height with a medium-height heel, or you can stick to your natural height with a pair of flat boots. We’ll never speak against a heel, but we’re more inclined to recommend the latter—let your natural tallness shine through by sticking to a flat or very low boot. Which types of boots do YOU love to wear? Tell us in the comments below!